Owning an iPhone 6 puts you ahead of most people technologically. 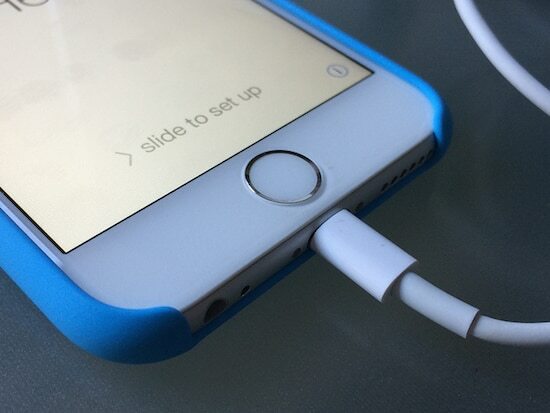 There are major upgrades to the iPhone 6 and iPhone 6 plus compared to the iPhone 5s. It may be enough to make you want to upgrade to a new iPhone in the near future. The same time that Apple announced the release of the iPhone 6 and iPhone 6 Plus they lowered the price of the iPhone 5s to an attractive $99 on contract, definitely making it more affordable for people who don’t care about staying up-to-date with technology. The $200 difference is enough to make most people wait to upgrade. There is a newer option of purchasing phones on a payment plan that allows consumer to pay around $40 a month on top of their cellular plan for an iPhone 6 Plus. With smartphones on average being larger in screen size, Apple needed to step up their game. They definitely have impressed consumers with the increase in screen size. The 5.5 in display of the iPhone 6 Plus may not be convenient to women who prefer to store their phone in their pocket, but it gives them an excuse to purchase a new handbag. The upgrade in size allows the difference in display to be seen in a much bigger way. The higher-resolution capability displays more pixels per inch pushing the iPhone 6 Plus into the running for best display capabilities. The upgrade is best seen during extending video watching and playing games. The new hardware available in the iPhone 6 allows for the device to be turned into a wallet and for payments to be made via your phone. This feature is coming to the iOS update in October, but will only work with the stores that are equipped for Apple Pay. Unfortunately the upgrade will not transferable to older iPhones. The advances in battery life will definitely make you smile. Charges are said to last a full day with no issue and some can even last two days depending on the amount of cell phone usage. New iPhones has seen an interesting upgrade in the slow motion camera, now taking 240 frames per second and displaying more dramatic slow motion videos. Also, the Optical Image Stabilization allows for better photos in low light and with shaky hands. While the iOS 8 update is seen in both old and new iPhones, the future will bring upgrades that only affect the iPhone 6 and iPhone 6 plus. Apple will begin to hold back features for older phones to make it more desirable to upgrade. That is something to be considered if you plan on holding out for an upgrade. At the current time, apps have not been upgraded for the new display of the iPhone 6 and iPhone 6 Plus so they may appear blurry, but this is not a permanent issue. It may be a few months before you are able to walk into a store and find an iPhone 6 or iPhone 6 Plus in stock, but you are always able to order one online.